Dark Star Game Studios’ gritty boss-battler Sinner: Sacrifice For Redemption will be getting a major injection of new content in February, introducing new game modes, weapons, and all-new boss to topple. The update, set to go live on February 19th, will incorporate a New Game+ mode featuring three challenges to test players’ mettle. The Trial of Speed gives Adam a boost of speed at the cost of his invulnerability during dodge rolls. Meanwhile, the Trial of Consequence introduces permadeth, while the Trial of the Sinner combines both of the previously mentioned trials to deliver the ultimate challenge. As for the new boss, Sinner: Sacrifice for Redemption’s upcoming update introduces a fowl beast that would make Colonel Sanders cower in terror in the form of Cowardly Modic, a merciless armored chicken. Those who defeat this feathered fiend will gain access to two weapon sets modeled after other bosses’ load outs, twin swords and a sword and shield bundle. 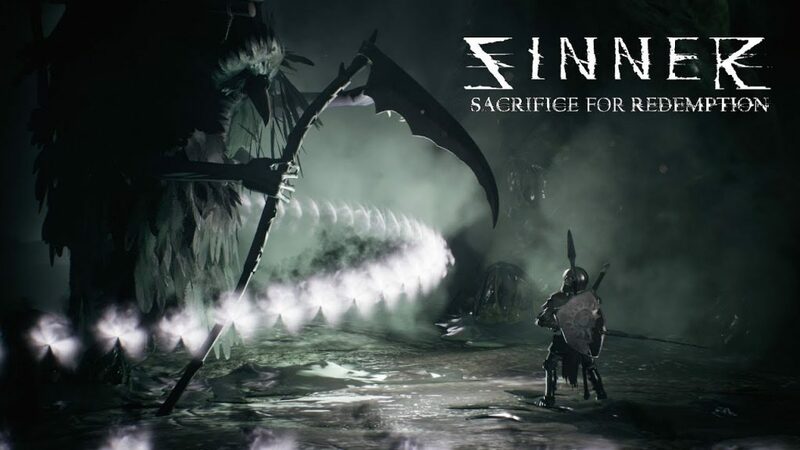 Sinner: Sacrifice for Redemption is now available on PC, Switch, PlayStation 4 and Xbox One. You can read Kevin’s full review of the game here.